Union Health Minister J.P. Nadda on 11 December said that the Government is committed towards advancing the agenda of Universal Health Coverage in the country and have therefore rolled out various initiatives to meet this aim. The Union Health Minister and Minister of State for Finance, S.P. Shukla at a function to observe Universal Health Coverage Day, 2017 today launched "LaQshya| ??????'' - Labour Room Quality Improvement Initiative, a safe delivery mobile application for health workers who manage normal and complicated deliveries in the peripheral areas, and also released the operational guidelines for Obstetric High Dependency Units (HDUs) and Intensive Care Units (ICUs). Addressing the participants, Nadda stated that this year is significant as the National Health Policy 2017 has been approved which envisages the attainment of the highest possible level of health without anyone having to face financial hardship as a consequence. The Government has taken concrete steps to reduce the Out Of Pocket Expenditure (OOPE), he added. Mission Indradhanush, one of the largest global public health initiatives was launced in 2014. In its four phases till date, MI has successfully reached over 25 million children in over 528 districts. "We are also focussed on increasing the basket of vaccines. Since 2014, we have launched Rotavirus vaccine, Pneumococcal Conjugate Vaccine (PCV), and the Measles-Rubella (MR) vaccine, and also the JE vaccine for adults," he said. "The Pradhan Mantri Dialysis Program has also been launched where 1.43 lakhs patients have availed free services from 1,069 Dialysis Units and under Free Drugs and Diagnostics Program; AMRIT outlets nearly 47 Lakh patients have benefitted from AMRIT Pharmacies through purchase of subsidized medicines", he added. 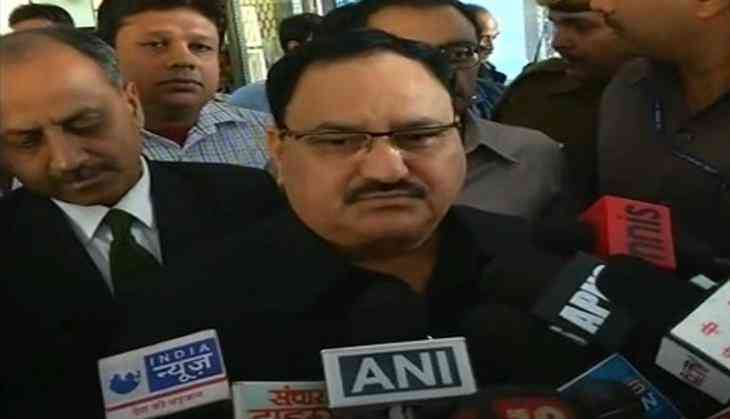 Nadda also informed that to provide comprehensive primary care, the Government has announced transforming 1.5 lakh sub health centres to health and wellness centres. "The Ministry is now moving towards provision of comprehensive primary care through the Health and Wellness Centres", he said. He further stated that in a step towards provision of comprehensive primary care, the Government has initiated universal screening of common NCDs such as diabetes, hypertension and common cancers at the sub-centre and primary health centre. "This will enable the strengthening of preventive and promotive health, improve patient referral and access to secondary care services," he said. The Union Health Minister also averred that the Government has been at the forefront to strengthen the tertiary care and as such six new AIIMS are functioning and six will come up in due course. Reiterating the commitment of the Government towards Universal Health Coverage, Minister of State for Finance, S.P. Shukla, who is also present at the event stated that the Government is committed to providing the resources for achieving Universal Health coverage. He further said that the Government has increased the budget of the Health Ministry for 2017-18 by 27.7 percent. "The Government has also through the 14th Finance Commission increased devolution from 32 percent to 42percent of divisible pool - an increase estimated at Rs. 25 lakh crore over award period to provide States with greater flexibility and autonomy to design, implement and finance schemes," MoS Shukla said. Govt delays naming new army chief: will it create Chief of Defence Staff post?